Halloween can be really scary for little ones! What’s a parent to do? Some Christian parents choose to shield their kids completely from the holiday, keeping them inside and dismissing all the activities and traditions. Others, put a Christian spin on it: carve crosses into their pumpkins, or hand out tracts with candy. Have you ever considered the roots of Halloween and where the holiday came from? Many Christians are under the mistaken belief that Halloween, or more specifically All Saint’s Day, was established for the purpose of Christianizing a pagan holiday called Samhain. But Halloween actually started as a Christian festival, not the other way around! There are many ways that Christians can re-claim Halloween as a Christian celebration. We wanted to share a few with you! Click here to see our Pinterest board for inspiration for a reclaimed Halloween that you can celebrate with your family and community! Download this FREE eChart on Halloween! 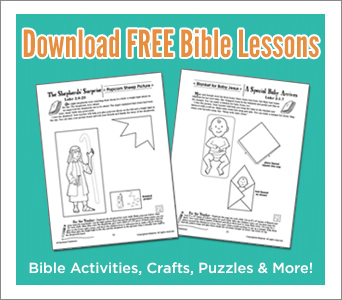 This printable is based off the popular pamphlet The Christian Origins of Halloween to show parents and teachers everything they need to know about this Christian holiday-turned-spooky. Turn it into a teaching moment about Christ! This “3 Practical Ways to Shine God’s Light into Halloween” eChart will help you gain the confidence to shed light on Halloween to non-believers and weave the gospel into what was once a gloomy holiday! Turning “spooky” topics of discussion like ghosts or death into starting points for spiritual conversations about resurrection life and Jesus! Now you can turn the “fright” of Halloween into a “light” for Jesus by teaching others about the great Christians of the past and by better understanding the origin of Halloween. Download it now! Share this eChart with other teachers and parents to educate your community about the glorifying God during this season!